A panel of Portland city officials, fishermen, and wharf owners who started regular meetings at the start of the year. Their goal: figure out how to balance preserving the city's fishing industry while continuing to grow and develop. 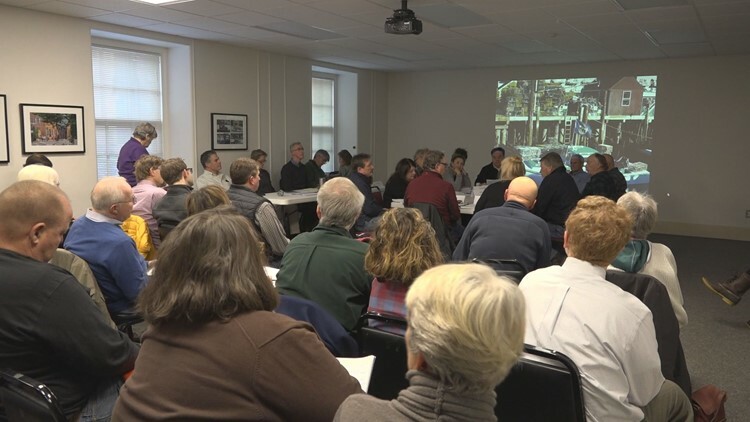 PORTLAND, Maine — The working waterfront group is a panel of Portland city officials, fishermen, and wharf owners who started regular meetings at the start of the year. Their goal: figure out how to balance preserving the city's fishing industry while continuing to grow and develop. NEWS CENTER Now heard from a viewer with a specific question about the group. "While I credit the city for its transparency as the Waterfront Working Group continues its work, I have to ask, who is this attorney who seems to have such an outsized influence on the proceedings?" wrote Toby Allen III. NEWS CENTER Now reached out to the attorney, Sandra Guay. She explained her role is to provide legal advice and wrote, quote, "my role is primarily to advise and represent the group in their ongoing effort to protect and enhance Portland's working waterfront." The latest meeting is scheduled for Thursday afternoon at city hall. The group is working to figure out how to go about the zoning in the working waterfront district, with roughly two months remaining on the city's development moratorium. "Right now we're really working at the tasks at hand," said Bill Needelman, Portland's waterfront coordinator. "The moratorium extends through about the middle of June and it's our goal and our expectation that we will have at least have completed our zoning discussion by that time." The group meets twice a month on the first and third Thursdays at city hall. All meetings are open to the public.